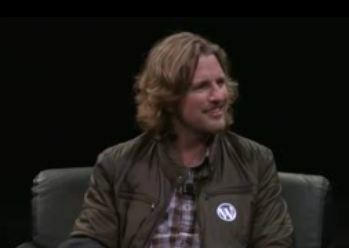 Not everyone should be a blogger, says WordPress founder Matt Mullenweg. Simply because not everyone has the passion to share things online. “Not everyone’s a creator,”claims he. But maybe everyone’s a creator, Matt. But not everyone has the passion of sharing. That reminds me of a friend who happens to like sharing long long updates on Path. She rants a lot once in a while on stuff she cares so much about like parenting but she tends to refuse the idea of blogging because she assumes it’s not what she really is. In many ways, the blogging thing is something she thinks way too time and intellectual labor intensive. Yet, she can afford the hassle of writing such long updates on Path, which makes me confused. It turns out she doesn’t think sharing ideas to the rest of the world without limit is her thing. That’s something I could never understand. Why writing for only yourself or a limited number of people when you know what you share is useful to not only your inner circle but also everyone who shares the same shoes with you? Blogging should be done with passion as it’d be tiresome for many without passion to write up like every single day. And this is not everyone can and wants to do. Writing every day is a grind and writing every day to get significant audience is another challenge to conquer. There’re bloggers who shift path to microblogging like Twitter simply because it’s more succinct and instant a a tool of interaction. The Great Robert Scobble would be one of the examples. In Indonesia, we’ve got Nukman Luthfie, who happened to be an early adopter of blogging and online journalism in the country but as Twitter emerged as a new channel of communication, Nukman spends more time to tweet than blog. It’s all about passion once again. And not all bloggers are all that consistent when it comes to writing consistently. Of course they still write but not in the long form as often as they did before. Instant gratification? I bet. Blogging may be adopted and then abandoned or vice versa but no one can ddeny that blogging is constant in the way that it serves as our digital home. You can have as many social media accounts as you want but all those lead you to one single place: your site or blog.